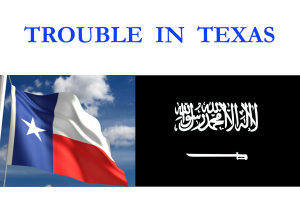 UTT (Understanding the Threat) conducted a one-day program for law enforcement, prosecutors, military and citizens in Dallas (Texas) last Friday, infusing the attendees with heavy doses of reality about the jihadi threat in the United States, and, specifically, Texas. The response from participants was unanimously positive. “Everybody needs to hear and know this information,” a community leader from the Dallas area told members of the UTT team. “This was the best program I have attended in all my time as a police officer. I am stunned to learn of the threat to Dallas from the jihadi threat, and that the very organization opposing this presentation is a Hamas front group,” said a law enforcement officer who also preferred to be unnamed for this article. Hamas (Council on American Islamic Relations – CAIR) tried to shut down UTT’s Dallas program, but failed. Despite the capitulation to Hamas by the leadership at the originally scheduled venue – Cedar Valley College in Lancaster, TX – and their reneging on their agreement to host the program, another venue was offered within hours and the program went off without a hitch. Oddly enough, prior to the program in Texas, UTT published an article listing some of the evidence proving CAIR is a Hamas entity. Read it now HERE. Hamas is a designated foreign terrorist organization by the U.S. government and many others. 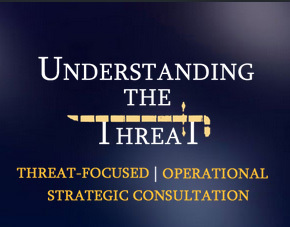 The standard response from law enforcement, military, and civilian leaders across the country to the UTT programs is: (1) they do not know the information presented; and (2) they believe the information is absolutely critical to protect the nation and create strategies to dismantle and defeat the jihadi network here. UTT’s programs continue to open the eyes of leaders and law enforcement officials at all levels to the threat of suit-wearing jihadis like the leaders of CAIR, the Islamic Society of North America (ISNA), the Muslim Public Affairs Council (MPAC), the Muslim Students Association (MSA), the Muslim American Society (MAS), the U.S. Council of Muslim Organizations (USCMO), and so many others. These jihadi (“terrorist”) groups simply want to end all discussion about jihad they cannot control. They want to shackle free speech so those who most need to hear the truth about who our enemies are, will not. To Bring UTT’s Program to Your Town, Contact Us HERE! The Wikipedia page entitled “Fireside Chats” points to the efficacy of using Radio to garner the enthusiastic support of millions of listeners, though with the 1000 words they all understand. E.g. Between 1933 & 1944, at 2000hrs on 30 randomly chosen evenings, FDR met (euphemistically} within 13 to 44 minute durations at the “firesides” of the American people to discuss & dispel their fears & concerns, and his plans for the country (as opposed to what they were hearing from his political opposition who owned most of the country’s newspapers). Similarly, a one night per week contribution by three national radio networks of 15 minute air slots on Monday, Wednesday or Friday (their choice) to run a 10 part spoon-fed taped tutorial on the Global Islamic Movement, when families are usually at home, e.g. 2100hrs, would enable UTT to reach millions of awakening Americans with the plain talk they hunger to hear in consecutively cogent doses.